I recently reconnected with 2019 OT offer, Danielson Ike out of Kansas City, MO Rockhurst. Last time we spoke told me he was planning to take a return trip to Norman this summer. With the ChampUBBQ coming up on July 28 I figured he might be attending that but that is not the case. Ike said, instead, “I’ll be visiting OU the first week of August”. An official date hasn’t been decided on just yet but Ike let me know he was going to speak with Bedenbaugh on the specific date and let me know once he has one. But wanted to alert you that a return visit is expected in the near future. Was told that they’ve got the player led 7v7 split up between an “A group” and a “B group”. I think that’s really smart. In the past, I always got the impression from my sources that there were a lot of guys sitting around waiting on reps.
Often times, I’d hear about a number of the young guys who might be a little unsure of themselves and wouldn’t jump in and take reps. Other times you’d hear about older guys trying to help the younger guys by giving them reps but that obviously cost themselves reps. So, I think this situation works out really well. Kind of wonder why they never did it before but if it hasn’t become obvious by now…Riley factor. Now, I know some of you might say, but this is player led 7v7, what’s that got to do with Riley? Well, maybe nothing. In fact, if it came from someone like Murray that would be super impressive. But I’d guess the players can pick up clues on the best way to run player led 7v7 from their “sources”. Commenting on a tweet from another recruit who announced he would be committing on August 3rd, Stacey Wilkins has announced that he too will announce on August 3rd. I texted Wilkins to confirm this was indeed the case because only a few days ago Wilkins had told me he would be announcing August 24th. Wilkins said that he plans to put out some kind of commitment edit on August 3rd but will announce it, in his words, to the “public” on the 24th via a school ceremony. Camden is a small town. Back in April, the Sooners extended an offer to 2020 defensive end Alec Bryant out of Pearland (TX). Bryant is a dynamic athlete who currently holds offers from Nebraska, TCU, and Arizona, among others. The OU staff got in on him early and that should bode well for them going forward, as I believe it is only a matter of time before the in-state schools, Texas and Texas A&M, pull the trigger on an offer for him as he has visited each of those schools. He has yet to visit Norman; however, that will all change on July 28th when Alec and his family will make their way to campus for the 2018 ChampUBBQ. I have spoken to Alec on multiple occasions and it’s hard not to come away with a sense that the Sooners will be a major player in his recruitment; I would expect them to be in a good spot throughout the entirety of the process. 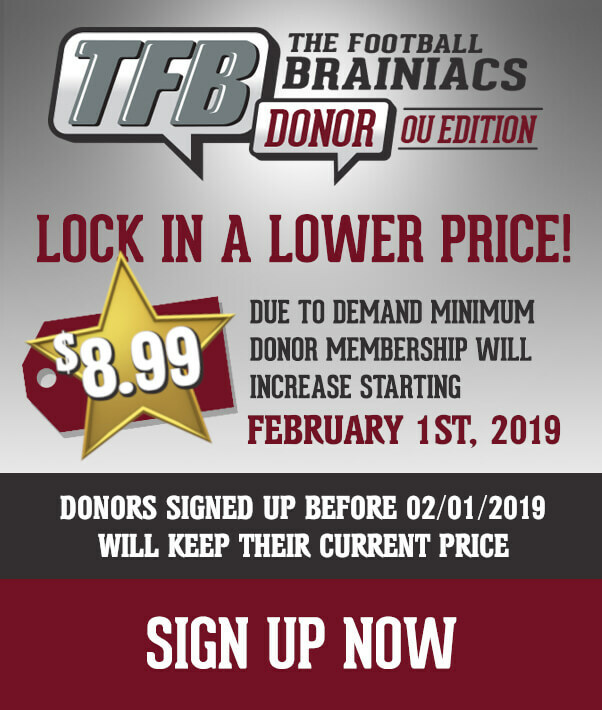 Getting Alec and his family up for the ChampUBBQ is a tremendous opportunity for Calvin Thibodeaux and Lincoln Riley to make an immediate and lasting impact of the entire Bryant family. As Super K has mentioned many times, when families visit Norman, a lot of preconceived notions get thrown out the window and, in general, the Sooners really open some eyes and put themselves in a great positions with their targets. 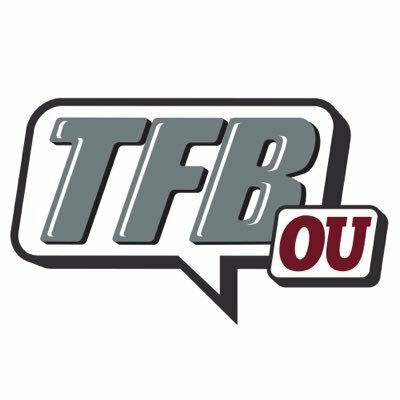 Currently the Sooners have two offensive line commits in EJ Ndoma-Ogar (Allen, TX) and Marcus Alexander (Sunnyvale, TX). The question is, how many are they looking to take and where will the focus be? Checked in with a source and was told that with two interior guys committed, the focus is now squarely on offensive tackles. I’m told the Sooners want at least two offensive tackles in this class. But source added that if it’s the right guy the Sooners, “would take three”. Shortly, I’ll be putting together a list of edge guys we believe Oklahoma is focusing on. As you all know by now, 2019 4-star DB, Jaden Davis (FL) will announce his decision today. Davis tells us that he will post his announcement on twitter at 8 pm EST (7 PM CST).